Sometimes new gear arrives for review and it matches! 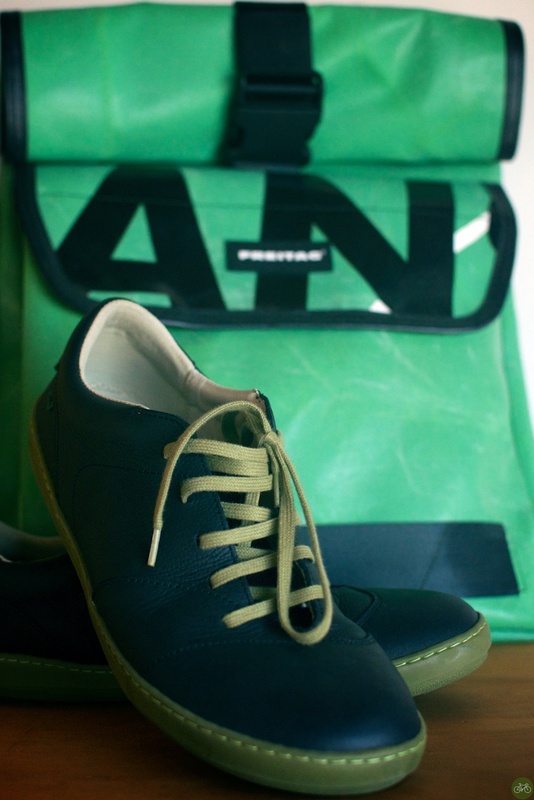 Like the Naturalista Meteo sneakers in green and the Freitag Victor. Both are comfortable, casual, and with a style that’s going to patina with time. Lacking a chest or waist stabilizing strap, I’m not gonna fill the Victor up too full or ride that far with it, but still have always appreciated Freitag’s aesthetic and they were upcyling materials before it was popular. 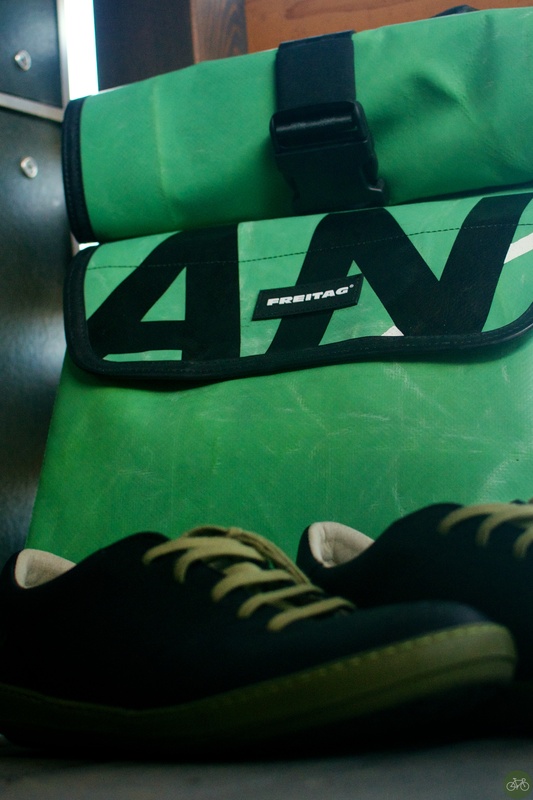 This bag is as tough as a truck, with a roll top, and zippered quick-access outside compartment. 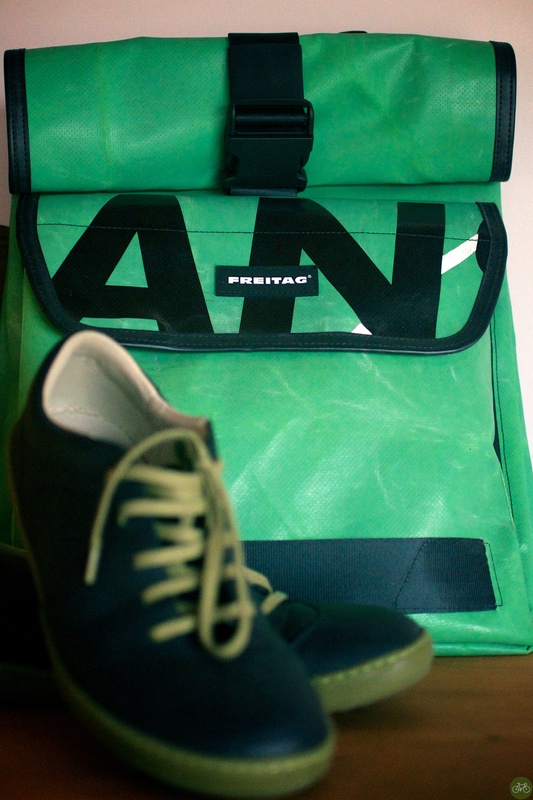 The shoes are very comfortable in natural rubber and leather and I’ve been riding around wearing the bag and shoes, as seen on Instagram: New Arrival from Zurich: Freitag, El Naturalista Shoes just arrived. Find the Metoes and Zurich online or a store near you for 120 € and 350 €. I think unboxing gear like this would bore you, but the premium price for these products is witnessed by the care they take in shipping from Europe. A wide selection of El Naturalista are available on Amazon too in mens and women’s. Also see a post from this one time when we rode on Freitag bikes in Berlin and a book about their business.